EK Fuels Ltd is a local family run business. Established as a car wash some years ago, gradually building and progressing the business to what we have today. 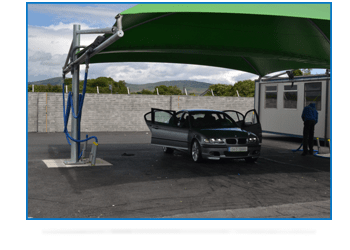 We are proud of our forecourt service, our fuel pumps and car wash are always fully attended offering a fast, friendly and reliable service by our team of fully trained staff. We are located in Dundalk on the Armagh Road, 100 meters from the Lisdoo, Bar and Steakhouse. Our forecourt is accessible by car, HGV’s of all sizes with ample ground space so maneuvering your vehicle can be conducted with ease and safety. We are building our business all the time, constantly adding new services. Most recently the addition of our “Magic Carpet” conveyor wash and the Mini Valet service which have proven extremely popular. The opening of our new neighborhood shop and deli is another exciting addition which we have opened up with great success. 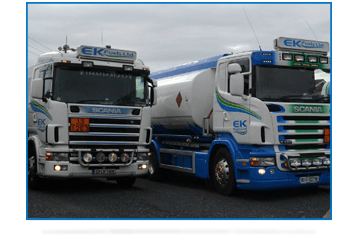 At EK Fuels our customers are important to us, we strive to offer you the very best value and services, using top quality fuels and products.